This entry was posted on October 31, 2018 by Jenna Schiebe. 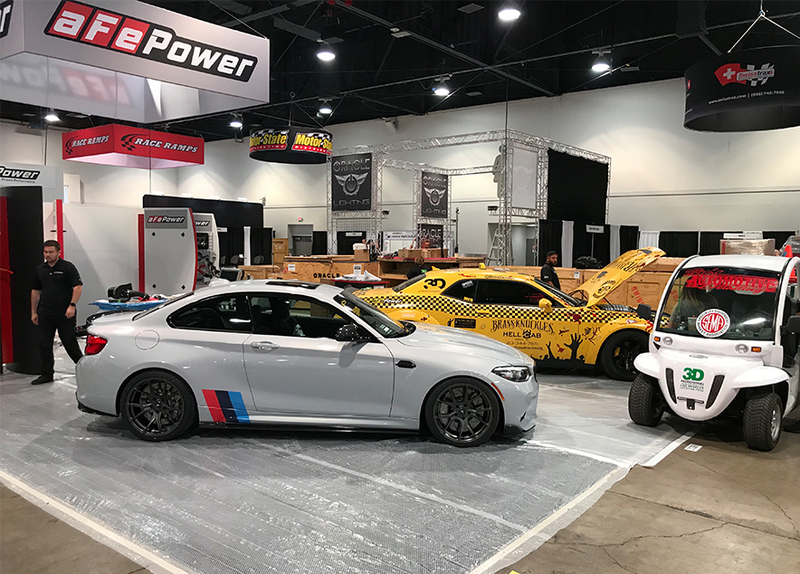 Some of the aFe team have been in Vegas for almost a week already – preparing our booth, product displays, and show vehicles for what (for most in the industry) is the busiest week of the year: the SEMA Show. 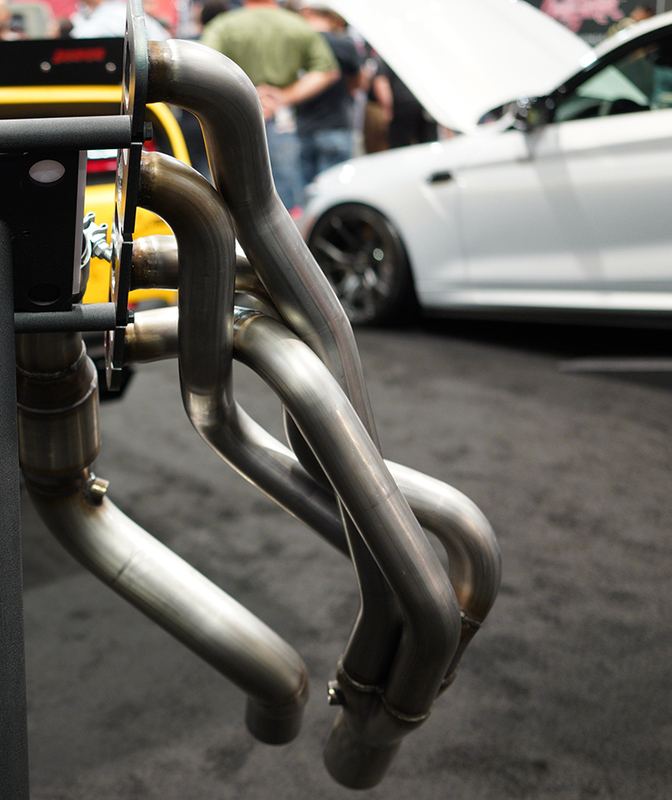 The show officially kicks off Tuesday morning, so Monday night was full of last minute touches – throwing the tips on our exhaust displays and dusting off all the fingerprints. Over 30 people from our team hit the floors running first thing Tuesday. 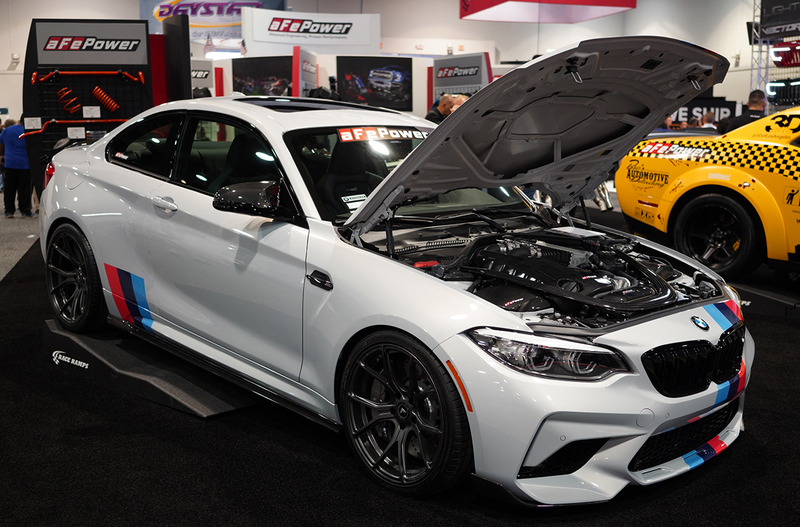 Spotlighted in our booth as well as in SEMA's New Product Showcase, our AGD made its debut at this year's show. 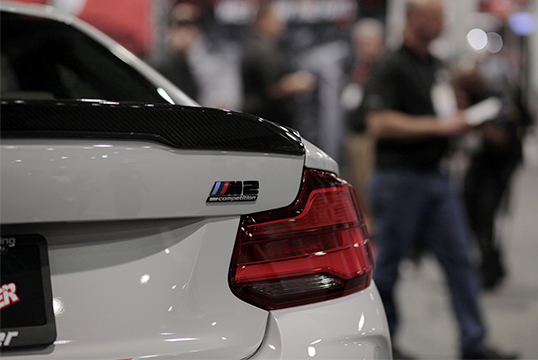 Its understated, yet captivating screen design is drawing in many questions from attendees. 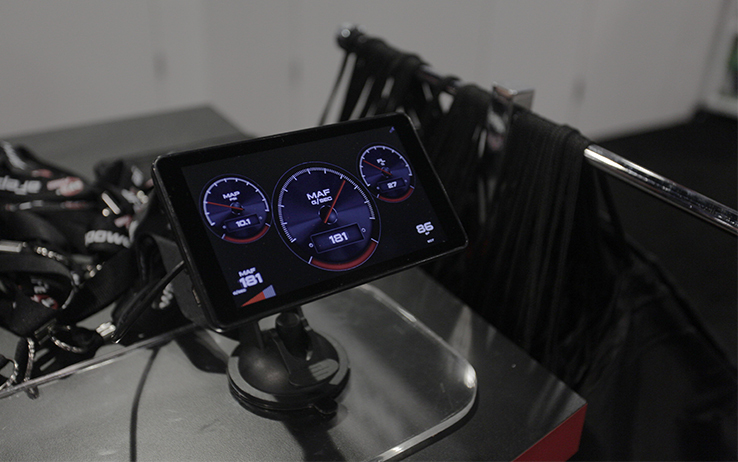 With over 25 parameters to view, and more on the way, the all-in-one device monitors, records, and data logs important vehicle information – and will be shipping late December, 2018 for most vehicles 2009 and newer. 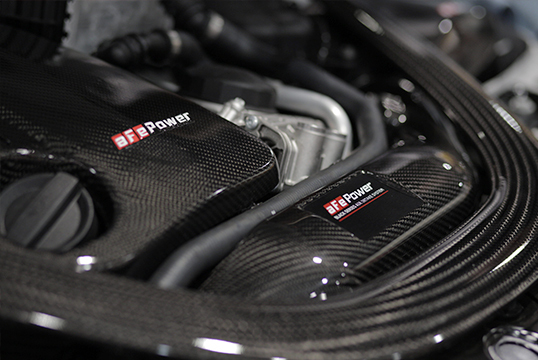 Our industrial-grade Quantum Series Cold Air Intakes recently debuted with applications for Dodge/RAM, GM, and Ford trucks, with many more on the way. 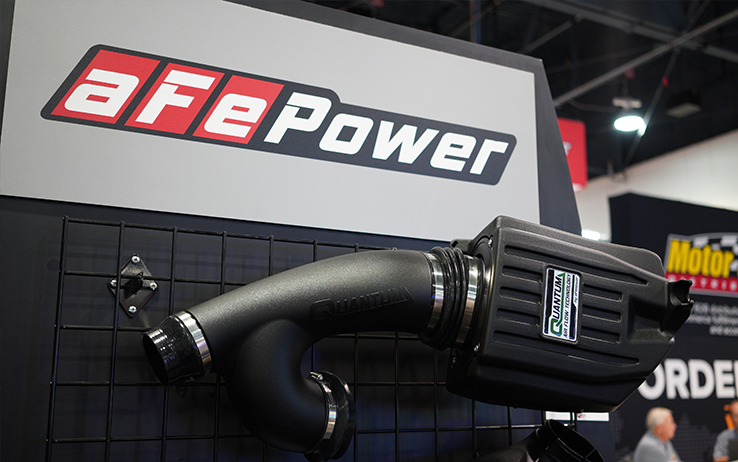 Quantum takes the same quality and performance focus aFe always delivers, and turns it into a convenient, sealed, easy-to-install system with plenty of innovative features such as an integrated filter-to-housing design and flexible bellows couplings. 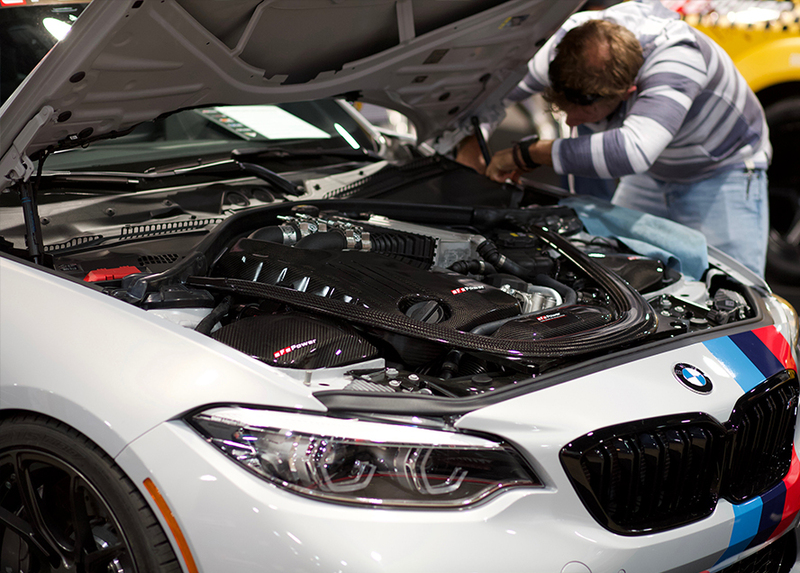 Products mounted on displays are great for educational purposes, but let's face it – products on vehicles are much more fun to look at. 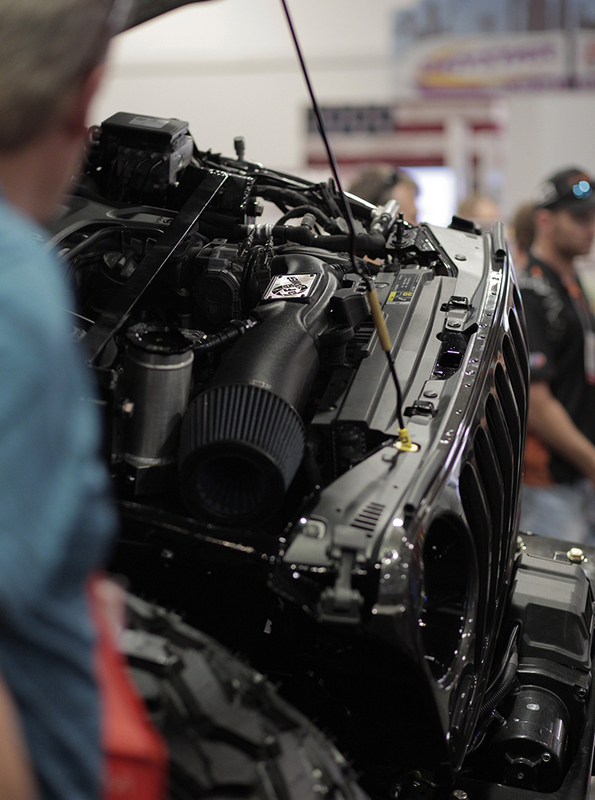 With a brand new BMW M2 Competition, a murdered-out Jeep Wrangler JL, and a Dodge Demon dubbed the "Hellcab," our SEMA booth has plenty of eye candy to go around.